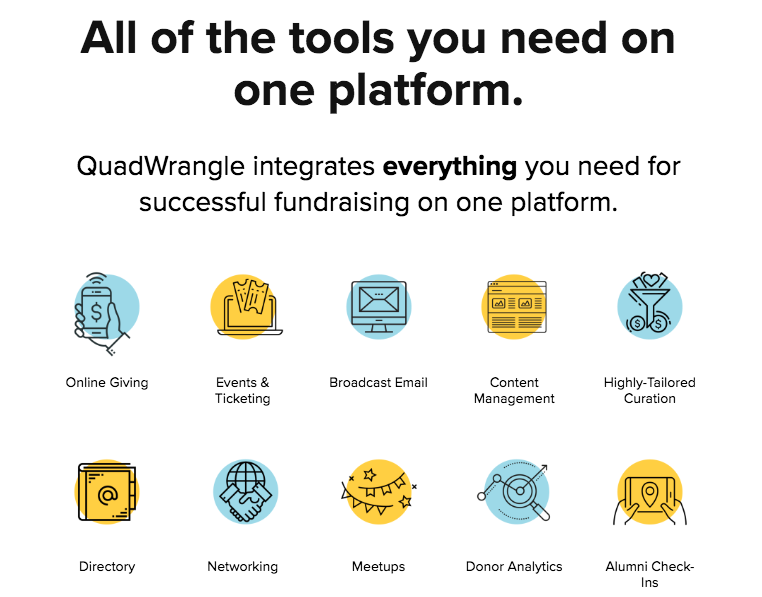 QuadWrangle is easier to use than your current software and more intelligent. Thanks to the first ever engagement AI, Isaac™, engagement is personalized, work is automated, and our partners’ community members are 320% more likely to give. Plus, this AI leverages all your new engagement to tell you what designations each donor will give to and even how likely they are to donate.